“I’m expecting to receive this much dosh from taxpayers for doing bugger all for 3 years after I lose my job. So don’t you dare try to evade paying your taxes, serfs …”. Interesting to note that the British Government is leading a charge against tax evasion by signing the UK up to an “information exchange agreement” with a few other European nations. The Chancellor of the Exchequer signed the agreement yesterday. The intention is to be able to glean information about us from our banks to ensure that we don’t rob the Government. 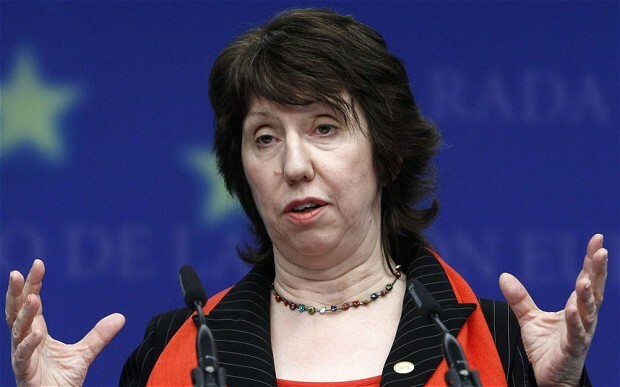 Meantime, at the end of 2014, when she stands down from her very, very, very important job (obviously so; look at the length of her job title, FFS), Baroness Ashton of Upholland, ‘The High Representative of the European Union for Foreign Affairs and Security Policy’ will receive a cool £400,000 for 3 years for doing, er, bugger all (see link below). Now, that’s just one of thousands, if not hundreds of thousands of examples, large and small, of the 21st century political elite deciding that it’s OK to rob (there’s that word again) citizens to fund politicians’ warped lifestyles. Is it any wonder, therefore, if some folk feel moved to evade paying tax? Over the past decade or so the political class has launched an economic war on ordinary people. What weapons do ordinary citizens have to fight back other than to make it as extraordinarily difficult as possible for the politicians to relieve them of their own hard-earned wealth? I’m not advocating tax evasion here; I’m just saying. People like Ashton are really no more than parasitical nonentities (big job title; non-job). I doubt whether she gives a toss about the legality of taking your money and mine for doing nothing herself. Normally that’s considered to be theft – which is illegal. Just like, er, tax evasion. Like I said, there’s a war on. Osborne’s actions yesterday, reported in the article below, simply prove my point. Meantime, over at ‘The Slog’ (second link below), John Ward makes similar observations about governments’ increasing desperation to raise taxes. Brace yourself to get a whole lot poorer over the coming years. Not unless you’re Baroness Upholland, of course. How many chins can you count in that pic ? Re:Tax Evasion/Avoidance, economics & banking. Please reflect for a moment or two . . .
One day these questions may not be rhetorical. Well, I might attempt to slow it down and suggest some alternatives, if you get my drift. Don’t forget there’s an enormous amount of payback due and we don’t want anything less than 110% satisfaction. Also, the detail of these corrective events needs to be recorded for posterity and shown regularly lest others are tempted in the future to repeat the kind of high treason we have had to endure. By the way, you can add anyone who has supported in any way the mass immigration of turd-world hideoids to this country since WWII. The lynching crew is going to be very busy for a long, long time. Agree with both yourself and Mr Ward, from my perspective the issue is the sheer desperation of the global elite to prevent the inevitable which is the complete inability of the real economy to service the debt obligations run up (and leveraged massively via derivatives). As this elite will lose most if not all of their ‘wealth’ if this happens they are dreaming up wilder and wilder schemes as this crisis progresses. Does make you wonder why the growth in sales of private islands around the world has increased massively over the past few years, maybe they know what is coming. Champagne socialists such as the dear Baroness have no compunction in accepting taxpayer’s money for nothing. The names Kinnock and Blair spring to mind immediately.